Amplify Arts believes that learning is a life-long endeavor that doesn’t end after graduation. While more undergraduate art programs have started to offer courses in professional practices as part of their curriculum, it’s not the standard yet. Amplify Arts fills that gap by providing ongoing training to working artists across the Omaha metro. 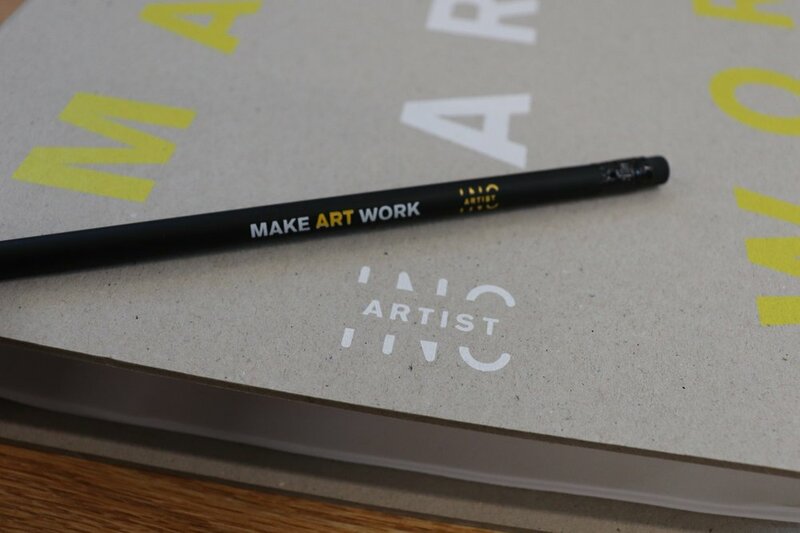 Artist INC addresses the specific business needs and challenges artists of all disciplines face every day. Limited to 25 participants per session, artists gather one night a week, for eight weeks, to learn business skills specific to their art practice and apply those skills cooperatively with their peers. Using an innovative class design, artists learn and grow together through artist facilitator mentoring, small group application activities, large group discussions, and multi-media lectures. Work In Progress (WIP) is a year-long program, open to artists of all disciplines, working actively to develop and maintain a critically engaged practice. Curators, critics, and educators in the field serve as program facilitators to encourage discussion, give feedback, and help connect participants to potential opportunities. Participants receive monthly studio visits, are introduced to guest critics during monthly group critiques or workshops, produce critical writing centered in their work, and participate in a year-end exhibition. Working Artist Wednesdays is a series of professional development sessions and workshops the first Wednesday of each month designed to help Omaha-area artists fine tune the practical aspects of maintaining an active creative practice. Leaders in the field guide artists through sessions that tackle a range of topics. Each 4-month unit, led by an expert in the field, emphasizes cumulative learning. Participants create robust and expanding networks of peers and professional contacts and opportunities to self-evaluate and learn from others’ experiences.